Dechert Dynamics began in 1946 by founder, Joseph Dechert. The business was constructed around making or repairing almost anything that is made of metal. Decherts serviced gasoline engines, chain saws, lawnmowers, special machine building, and industrial lift trucks. Crankshaft grinding was also a special niche for the company. The first machine shop was located at 736 North Railroad Street in Palmyra, and the first job was to construct the shop building. Business was opened on May 1, 1946. Joe was an experienced machinist and toolmaker. He even kept the Navy ships running in the Pacific while in the service. As business grew, facilities were expanded to the present location in the summer of 1950. The shop machined items for the local quarries, shoe factory, candy factory, and agricultural equipment. Dechert Machine Shop also had a subsidiary located in a wing of the shop known as the Palmyra Hardware and Supply Company. A line of high grade hardware was offered. A customized service was available for sale and erection of Quonset buildings. The Carlisle Machine Shop was also owned by Joe Dechert, another facility used to maintain machining much like the Dechert Machine Shop. The company was bought by new owners in December 1999. 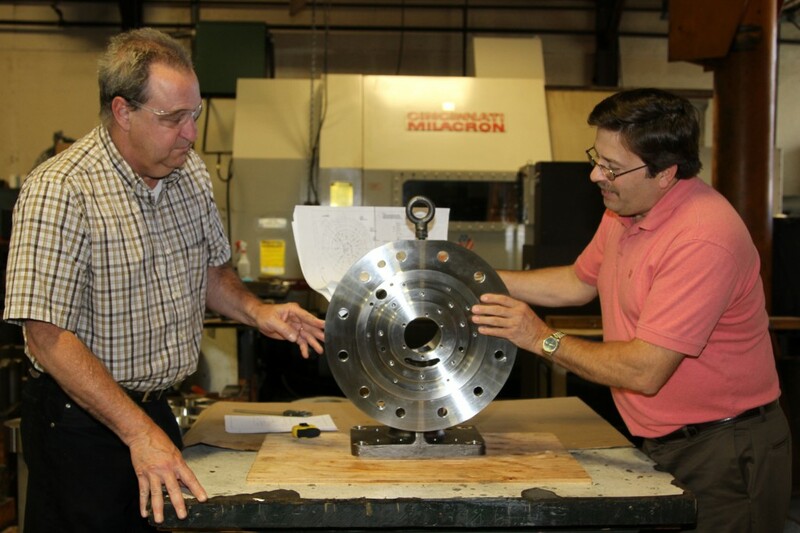 Currently owners of the business are Arthur Arnold Jr. and Larry Blouch who have a considerable number of years in the business and are well experienced in the manufacturing industry. They have been instrumental in carving out our specialized services of machining parts in very technical areas and using difficult material. As time goes by, and needs of customers change, Dechert Dynamics is motivated to be on the cutting edge of innovation. Customers are located primarily in Pennsylvania and surrounding states, but service is extended to companies located throughout the USA. The business is located at 713 W. Main Street, Palmyra, PA 17078. Dechert Dynamics is an S corporation. The Dechert advantage lies in the ability to machine a wide variety of large parts and the technical service required for certain pieces. Decherts is able to service parts in the “nuclear” sector of the business which is highly critical.